and I was in the mood for a simple fish stew. Inspired by all the wonderful fennel in stores during the winter months, and the jars of Kato’s heritage tomatoes. 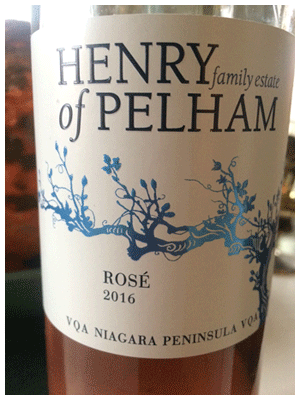 And, the sight of Pelham’s 2016 Rosé at my local LCBO. How could I resist? The wine delivered the perfect mix of Provence-style fruitiness, and tangy dryness. Just perfect with my perfect stew. There’s more to winter than beef. P.S. Must say I prefer the light blue label on this wine to Pelham’s traditional dark blue. A colour that does nothing for wine nor food.